Breast reduction surgery can help reduce chronic back pain, restore full range of motion, and eliminate certain physical limitations, but will insurance pay for it? In this short video, board-certified Indiana plastic surgeon Dr. Joseph Fata addresses this question and provides information about the instances in which insurance will and will not pay for breast reduction. are a number of choices that will need to be made prior to your breast augmentation procedure. These choices will impact the final appearance of your breast enlargement and should be personalized to complement the natural curves and dimensions of your body. During your breast augmentation consultation with board-certified Indiana plastic surgeon Dr. Joseph Fata it can best be determined which options will be ideal for your specific needs. If you are unhappy with your breasts, breast augmentation may be the best solution. This short quiz can help you determine if it’s time to call board-certified Indianapolis plastic surgeon Dr. Joseph Fata to schedule a consultation and learn more about your options. Are you ready? 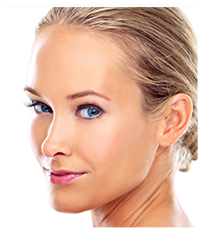 Please contact our Indianapolis plastic surgery office online or call 317-575-9152 to schedule a consultation today. Can rhinoplasty fix a broken nose? 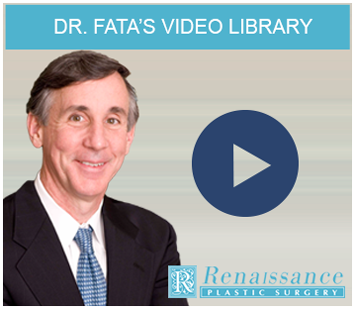 In this short video, board-certified Indianapolis plastic surgeon Dr. Joseph Fata addresses this question along with alternatives to nose surgery following injury. If you are interested in learning what rhinoplasty can do for you, please contact Renaissance Plastic Surgery online or by calling 317-575-9152 to schedule a consultation. Dr. Fata provides nose surgery for men and women living in Indianapolis and throughout Indiana.